Apple’s latest hot-selling product is causing early adopters grief. Embarrassing. Specifically, some (small?) 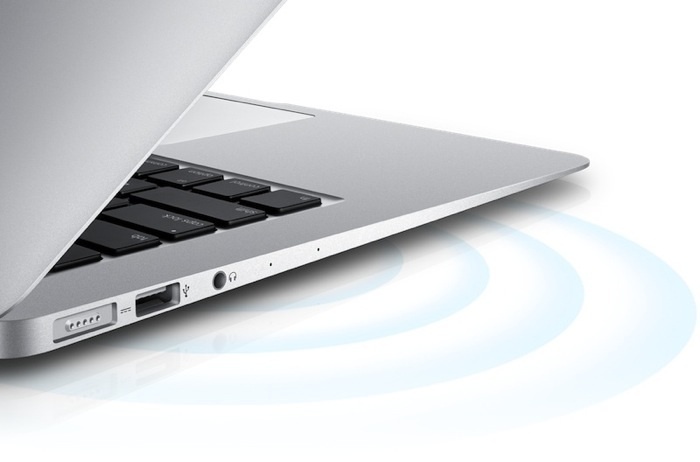 number of the early 2013 MacBook Air units shipped to users have WiFi issues, mostly of the intermittent connection variety. Just a software issue? 802.11ac related? Whatever the case, Apple’s working on a fix. According to AppleInsider, the mothership has invited select users to test a prerelease (AppleSeed) version of the MacBook Air WiFi Update 1.0. People who received the email [say] that Apple will provide selected customers with a pre-release version of the MacBook Air WiFi Update 1.0 to install and use on their new machines, asking that they give feedback on any bugs found during the testing process. AppleSeed is a sometimes private, sometimes public program that puts prerelease software in the hands of users in order to accelerate delivery of final code. In this case, the 2013 MacBook Air is experiencing 802.11ac (a.k.a. gigabit WiFi) issues and Apple is keen to fix the problem as quickly as possible. Though noted by eagle-eyed users, Apple sereptitiously included 802.11ac networking support in OS X 10.8.4 ahead of the 2013 MacBook Air launch. Informed speculators say that flaws in OS X’s network stack are behind the ultraportable’s WiFi woes. For what it’s worth, a number of recent Apple product launches have been marred by poor WiFi performance, including several iPad, MacBook Pro and, unironically, MacBook Air models.